Marriott Caribbean & Latin America Resorts, a collection of eight Marriott properties in Mexico, Aruba, Curacao, Grand Cayman, St. Kitts and St. Thomas, U.S. Virgin Islands is offering a new program aimed at making engaged couples’ wedding dreams come true. On April 1 the group will launch “Worry Free Weddings,” a comprehensive destination wedding program designed to manage guests’ wedding process from initial planning to time spent at the destination to the post-nuptials. The program provides marrying couples with wedding party booking incentives and other special amenities and services, including group wedding party activities designed to bring friends and family members closer in advance of the big event. Couples will receive a free basic wedding ceremony with a minimum of 70 premium-category room-nights booked. Worry Free Weddings also provides marrying couples with a “Nuptial Navigator,” a detailed checklist and planning timeline featuring action items and key information to help couples navigate the destination. Data is included on tip amounts, local customs, currency, time zone, electrical current, items to pack and points of interest. Other program elements include “Tailored Time Together,” specially designed group excursions for the wedding party based on the group’s preferences, and “No Guy Left Behind,” a dedicated menu of activities designed for the groom and his bridegrooms and friends, from cigars, scotch and tequila tastings to flag football on the beach and grooming sessions at the salon. In addition couples who book weddings at one of the eight resorts will become eligible for the Newlyweds Forever Package, featuring 20 percent off published rates when visiting the same property or another of the eight resorts within a year of the wedding. 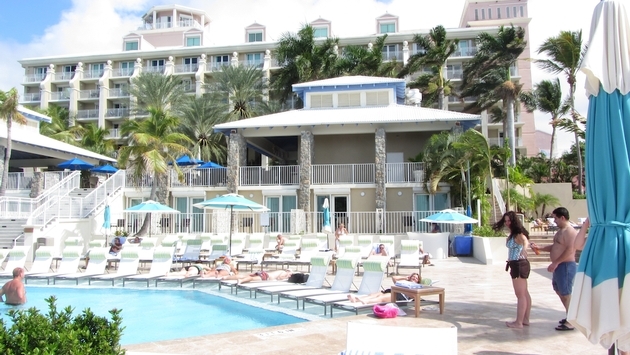 Participating hotels are the Aruba Marriott Resort and Stellaris Casino; CasaMagna Marriott Cancun Resort; CasaMagna Marriott Puerto Vallarta Resort & Spa; Curacao Marriott Beach Resort and Emerald Casino; Frenchman’s Reef and Morning Star Marriott Beach Resort; Grand Cayman Marriott Beach Resort; JW Marriott Cancun Resort and Spa and St. Kitts Marriott Resort and The Royal Beach Casino.